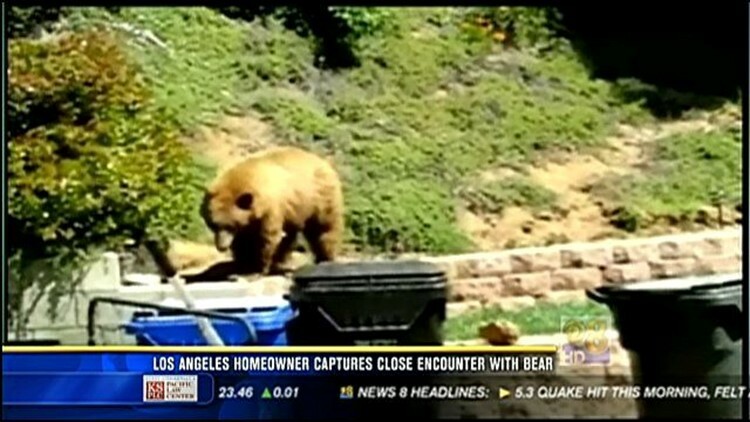 LOS ANGELES, Calif. (CBS 8) - A Los Angeles homeowner captured a very close encounter with a bear while in the backyard of his home in Duarte. The animal wandered around looking for food, and even tried to get inside the home. Bears are common visitors in the neighborhood because wildfires have burned their habitats and food source.